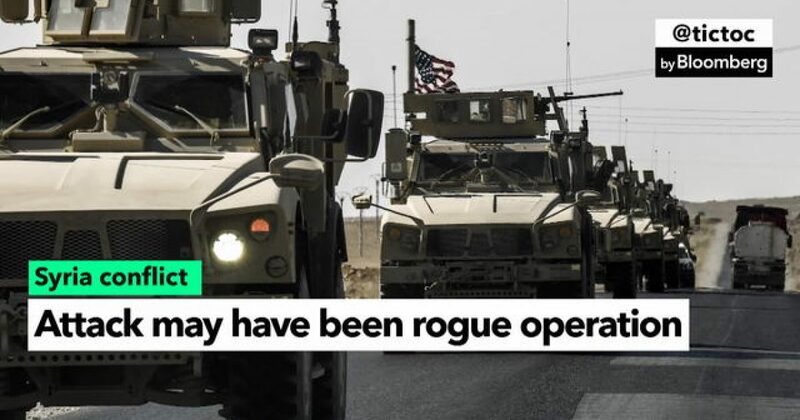 Both sides, Americans and Russians, remain calm and are discussing an attack on a US military base by Russian mercenaries last week in Syria that, at last count, left over 100 of the mercenaries dead. No US or coalition forces were killed. Russian authorities claim they did not order the attack or know anything about it. According to Bloomberg, more than 200 contract soldiers, mostly Russians fighting on behalf of Syrian leader Bashar al-Assad, died in a failed attack on a base held by U.S. and mainly Kurdish forces in the oil-rich Deir Ezzor region, two of the Russians said. The U.S. official put the death toll in the fighting at about 100, with 200 to 300 injured, but was unable to say how many were Russians. Putin, with Iran’s help, turned the tide of the seven-year war by committing air- and manpower to buoy Assad’s beleaguered forces in 2015, quieting U.S. calls for the Syrian leader’s immediate removal. 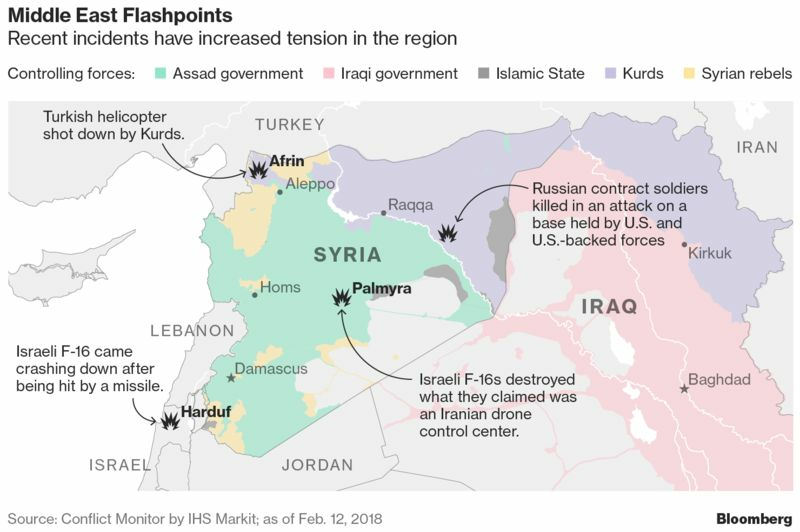 With Islamic State, which once controlled large swaths of Syria, now largely defeated, rival powers and militias are fighting in various combinations to fill the vacuum. Russia, Iran, Israel and Turkey have all had aircraft shot down in or near Syria this month. Last week’s offensive began about 8 kilometers (5 miles) east of the Euphrates River deconfliction line late Feb. 7, when pro-Assad forces fired rounds and advanced in a “battalion-sized formation supported by artillery, tanks, multiple-launch rocket systems and mortars,” Colonel Thomas F. Veale, a spokesman for the U.S. military, said in a statement. The U.S., which has advisers stationed at the base alongside Syrian Democratic Forces troops, responded with aircraft and artillery fire. It’s not clear who was paying the Russian contingent, whether it was Russia directly, Syria, Iran or a third party. Reports in Russian media have said Wagner — a shadowy organization known as Russia’s answer to Blackwater — was hired by Assad or his allies to guard Syrian energy assets in exchange for oil concessions. “No one wants to start a world war over a volunteer or a mercenary who wasn’t sent by the state and was hit by Americans,” Vitaly Naumkin, a senior adviser to Russia’s government on Syria, said in an interview.